One of the first photos taken with my new Canon 5D Mark ii. 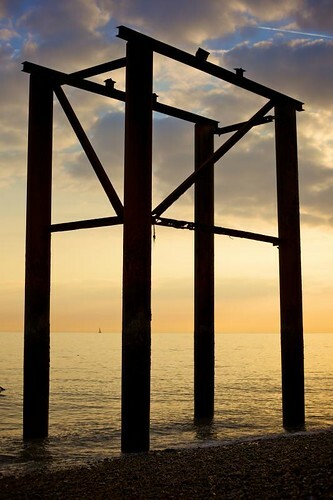 The eery sight of what was once part of the West Pier in Brighton, England. I’m attracted to sunsets and decaying objects so this is a double whammy for me!